Eighteen fifty-one was the year in which Port Phillip was separated from New South Wales and became Victoria. It was also the year in which the great Victorian gold rushes started. Many historians, and even a greater number of non-historians, believe these two events occurred within weeks of each other simply by coincidence. However, the origins of many of the events and decisions of 1851 can be found in events that took place over the preceding two or three years. 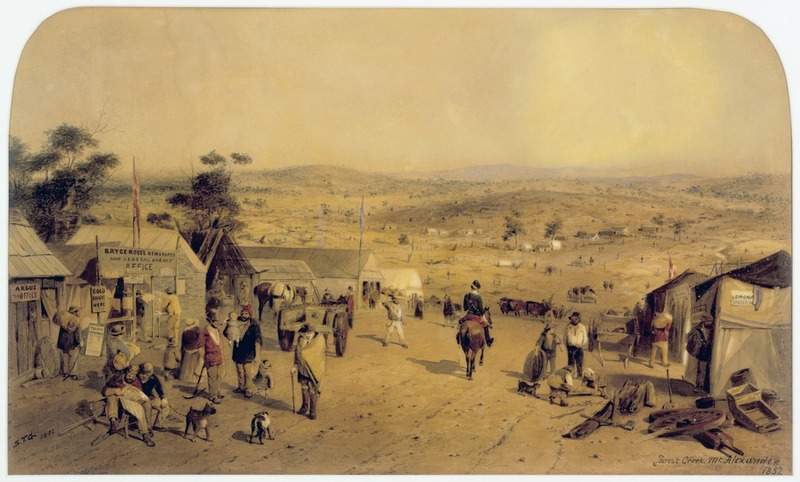 In particular, this article discusses the extent to which Charles La Trobe’s response to a largely forgotten 1849 gold discovery in the Pyrenees Ranges of the Port Phillip District may have been influenced by Port Phillip’s anticipated separation from New South Wales, and the inequitable financial arrangements that existed between Sydney and Melbourne. Originally published as – Douglas Wilkie, ‘Ten Thousand Fathoms Deep: Charles Joseph La Trobe’s decision to postpone gold exploitation in the Port Phillip District until after separation from New South Wales in 1851’, La Trobeana, The Journal of the C. J. La Trobe Society, Vol. 14, No. 1, March 2015, pp. 6-14.